At Yogathon 2015, we had two very special guests join us for a photo opp!! I had a blast photographing yogis with New England Patriots players Jonas Gray and former player Joe Andruzzi, founder of (Up)Beat Cancer! This organization's mission is closely aligned with Yoga Reaches Out's chosen 2015 beneficiary Boston Children's Hospital Pediatric Brain Tumor Team. For those of you who attended the event, you can download your lower res images for posting on social media sites like Facebook and blogs here and your high res images for printing here. You can also order prints 50% off directly from this gallery. For your viewing pleasure, here are my top six favorite Poses with the Patriots! 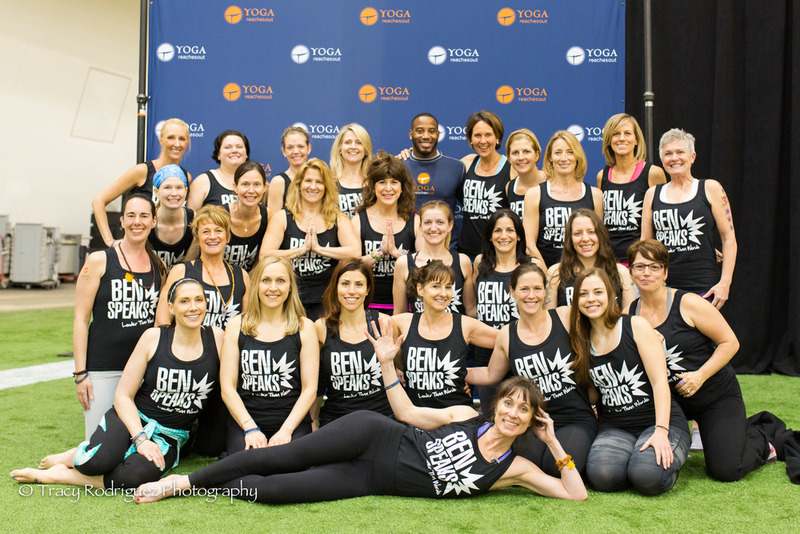 More photographs of Yogathon 2015, supporting Boston Children's Hospital Pediatric Brain Tumor Team and Ben Speaks, are coming soon! Check back on Facebook often!